Please select options for Bama Rev-X Tuner by SCT w/ 3 Custom Tunes (99-04 V6) at the top of this page. Load 'em on your Mustang and GO! As you add new mods, Bama will update your tune files for FREE! That's right, Free Tunes for Life! More Power and Better Performance. Now you can add Dyno proven gains in power and torque, as well as improve the overall performance of your 1999-2004 V6 with a Rev X Programmer that includes 3 Bama Custom Tunes. 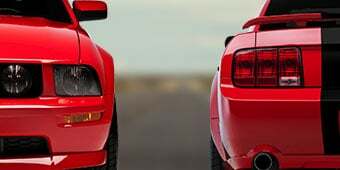 By optimizing the air/fuel ratio, adjusting ignition timing and tweaking variable cam timing, a Bama Performance Custom Tune will squeeze out the extra power Ford left on the table. 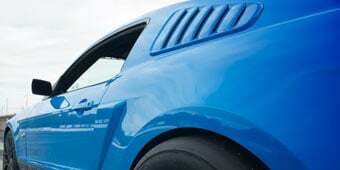 Curve Gains of 10 RWHP / 10 RWTQ have been seen on bone stock 3.8L Mustangs with a 93 octane tune. Automatic transmissions will see an even greater gain in acceleration and drivability, as the tune also adjusts shift points and firmness. Increase Your Mod's Potential. From the factory, Ford programs their vehicles to cater to the needs of the daily driver, not the performance enthusiast who adds aftermarket bolt-on modifications in search of more power. When making performance mods, you will need to re-calibrate the vehicle's computer to realize their full potential. Free Tunes for Life! Every customer that purchases a Bama Rev X Tuner is enrolled in the Free Tunes for Life program. Any time that you make additional mods to your vehicle, our team of certified Bama Calibrators will create new tunes for you. Just send us a list of the part or parts you've added and we'll upload your new tune files to the cloud. Street Tune (87-93 octane) - The Street Tune is designed as a daily driver program that focuses on increasing mid-range power. Automatic vehicles are further enhanced by making adjustments to the transmission's shift points and firmness. 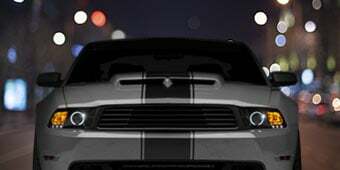 Performance Tune (87-93 octane) - The Performance Tune is designed to add power at 3000 RPMs and higher, focusing more on the top end horsepower and all out performance driving. Timing, fuel and throttle response settings are slightly more aggressive than the street tune. This is a great track tune, but also works well for daily drivers that are looking for a little more "get up and go" than the street tune. The automatic transmission settings are the same as in the street tune. 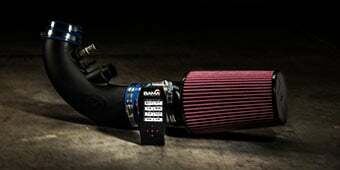 Race Tune (91-93 octane) - The Race Tune will ensure the largest increase in vehicle performance. Using the highest grade of fuel available in your area is mandatory. This file is designed for "Race Use Only," as the timing, fuel and throttle response settings are very aggressive. 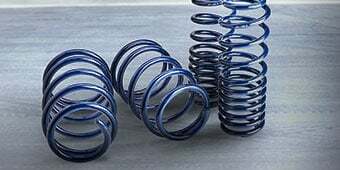 It is so aggressive that we do not recommend it for daily driving, as it may cause your vehicle to try to jump out from a stop and easily spin the tires. On automatics, we implement entirely new shift points and firmness settings to further enhance the all-out performance of the vehicle. Nitrous (91-unleaded race gas) - Our nitrous option can be added to any of our previously mentioned tune options, but only for 91-octane unleaded fuel. Wi-Fi Updates and Cloud Tuning. The Rev X Tuner by SCT is Wi-Fi capable, meaning it will always be up to date. Once setup with your Wi-Fi password, the Rev X will download the latest firmware updates via the internet. Besides firmware updates, your Rev X can also download your custom Bama tune files via the cloud, reducing the hassles of transferring files from your PC to your Rev X device. Data Logging and Monitoring. The Rev X Tuner by SCT makes it easy to read the Built-In Data Logging and/or the Real Time Data, so you can view popular sensor data such as EGT, Air/Fuel Ratio or any other 0-5 Volt source. You can even customize the monitoring capability of your Rev X using device's free Livelink software. Diagnostics Tool. The Rev X Tuner can also be used as a diagnostic code reader. Save yourself hundreds of dollars each year by reading and clearing your own Diagnostic Trouble Codes (DTCs) rather than paying a dealer to do the same. It's as easy as a few simple steps. Easy to Load; Easy to Restore. When you load your custom tune on the vehicle, the tuner automatically stores your vehicle's factory settings. To return the vehicle to its factory settings, just plug the tuner back in, select the option to restore the factory settings and you're done. This is ideal for visiting dealerships for warranty work. Application. This Bama Rev-X Tuner by SCT with Custom Tune Files by Bama Performance is specifically designed to fit the 1999-2004 V6 Mustang. Please note that this programmer is not legal for sale or use in California on pollution controlled motor vehicles. **Please Note: The Rev-X Performance Programmer ships blank from AmericanMuscle. Your custom tune files will be available for download via the cloud when your tuner arrives. It's highly recommended to download Free LiveLink and Updater Software. The LiveLink Application is used to view, data log, record and playback your Mustang's PCM data on a laptop computer. The Updater Application lets you update your device's Firmware, Tune Revision or to load Custom Tunes onto your device. Requires Windows Vista/7/8/10 and an internet connection. Whats the difference between this tuner and the X4/SF4? The Rev X tuner would be the newest and most updated device from SCT and this tuner will also store tunes in the cloud unlike the X4 and this tuner will also not need a computer to be updated as everything can be done through Wifi unlike the X4! I plan to upgrade my camshaft to comp cams part number 44-704-9. Can the tuner handle this without need of a dyno tuning session? 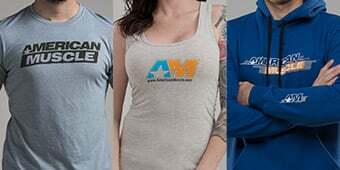 Bama Performance does not offer costuming tuning for aftermarket camshafts at this time. Once you receive the tuner all you will need to do is plug it into the ODBII port and follow the directions on the tuner on downloaded the tune to your car. I have a shift kit in the transmission will it still work? Yes, Bama can still provide tunes with a shift kit installed. The description says it holds up to ten custom tunes, would I be able to purchase and use tunes for an 08 f150 as well as my mustang? Tuners will only be able to be used on one vehicle at a time. You will not be able to use this for your truck and car. This will work on the automatic transmissions yes. 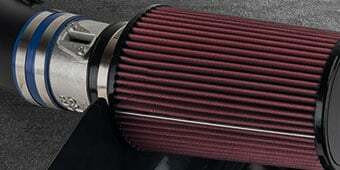 Bama Performance would not be able to tune for aftermarket boosted applications. 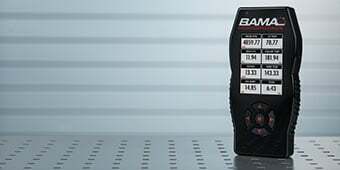 The Bama Rev-X Tuner by SCT with 3 Custom Tunes would require an ECU within the Mustang to tune it but you would not require a home computer for use with the Rev-X due to its wifi capability. This will allow you to update it and get the tunes through the cloud storage service. It will correct your speedometer but the volume of the car won't change by much. As of right now (February 2018) the Rev-X tuner is not compatible with Mac Computers. This device works on PC platform as well as a cloud based system which allows you to load tunes via WIFI connection. The Bama Rev-X Tuner by SCT will allow you to tune for upgraded rear gears. When filling out the tune form, simply state which rear gears you have upgraded to. The Bama Rev-X Tuner by SCT with 3 Custom Tunes will not need to stay connected to the car. Once the tune is downloaded you can unhook the tuner from the car and go. If each new modification you add does not require a tune, then you would not absolutely need a new tune for you Bama Rev-X Tuner by SCT. 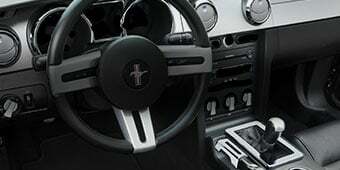 Since the tuner comes with free tunes for life, we would recommend getting a tune for each added item in order to get the most out of your Mustang. The Bama Rev-X Tuner by SCT will provide you with 3 custom tunes built specifically for your vehicle and needs. 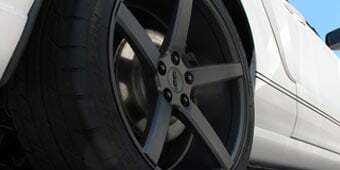 Extra horsepower and torque would vary from vehicle to vehicle depending on fuel type and modifications. If you would like to learn what BAMA could do for you specifically feel free to call or chat in and speak with them. Unfortunately, we do not offer the plates for this REV-X tuner as of yet, we may in the future but as of right now we do not have an ETA on if or when we will have those tuning dash plates. This tuner should only be purchased by Mustang owners with a lot of patience. I've received tune files via e-mail and have tried on three separate occasions to load the file into the car and have waited over an hour for the tuner to accomplish nothing each time. I would suggest to not get this tuner. The Wi-Fi capabilities only add more headaches. Get one that does not have Wi-Fi built in. It works great, very easy to set up and it definitely makes a difference in the acceleration, its Definitely worth the money. This tuner really opened up a whole new world for my car. My mods were able to perform to their maximum and give me the results I wanted. Nice tuner but they have bugs with it where the V6 won't work. Sent it back to SCT to get an X4 that does work. I didn't think it would make a very big difference but I was very wrong. It made a really big difference in my V6, feels new again. I don't need to give it as much gas now to make it go, it's much quicker now. No tunes yet. V6 pretty much stock. It's a 42000 mile car. It's been lowered. Upgraded ignition coil and wires. Duel Exhaust from cat back. 19 inch tires and wheels. Not sure how much gain ya get with the bama tune alone but i can tell you that with the Airaid cai and the BBK 73MM Throttle Body and Bama tune all installed at once is CRAZY!!! Im currently addicted to the 93 race tune...lol.. Outstanding results. 1999 V-6, with 250,000 miles runs better then new. More responsive. Smoother. Very high mileage. I BOUGHT THIS TUNER. I REALLY DIDNT THINK IT WOULD DO THAT MUCH. I WAS WRONG !!! YOU CAN REALLY FEEL THE KICK ON THE PERFORMANCE TUNE AT 3000 RPMS . HAVENT DID RACE TUNE YET BUT WILL, VERY SOON. THANKS AM!!! YOU GUYS ROCK! Does what it says. You can tell the difference immediately.